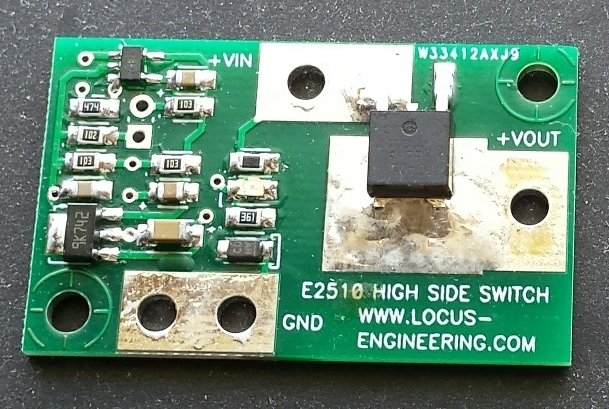 E2510 High Side Switch | Locus Engineering Inc. The E2510 High Side Switch allows loads up to 30 Amps and 30 Volts to be turned on or off using a small remote switch or optocoupler. No heatsink is required due to the very low “on” resistance of the P-channel powerfet. A floating regulator and comparator provide a safe and crisp switching voltage to the powerfet. An LED indicates when the high side switch is on.